Return to campus radiant and refreshed! Fresh off a much needed month of family, friends and that oh so elusive thing called FREE TIME, it’s finally time to head back to the heights. Here are a tips to return refreshed and radiant! Janet Lane was very astute in noticing that your look begins, and ends with your smile! So make sure it’s as beautiful as you are. A quick whitening treatment is easy, inexpensive, and sure to make an impact. 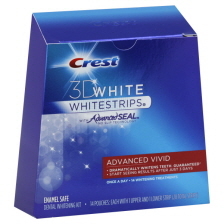 Crest 3D White Strips are available at a pharmacy near you. While the $35.99 price might seem a bit steep, the 365 days of a brighter smile are worth it! You may not have had the chance to escape to Bali or Peru for Christmas Break, but you can still get that radiant glow! 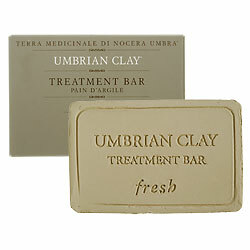 Available at Sephora.com the Fresh Umbrian Clay Treatment Bar reduces redness, tightens pores, and leaves skin clean and glowing! Just because it’s gray and dreary outside, it doesn’t mean your wardrobe has to be! A pop of color, will brighten your wardrobe, and just might brighten someone’s day! This sunny yellow hat from Kate Spade is sure to freshen up any ensemble, with it’s fun and flirty message! Hope these tips get you ready and radiant for all the adventures this New Year has in store!!! 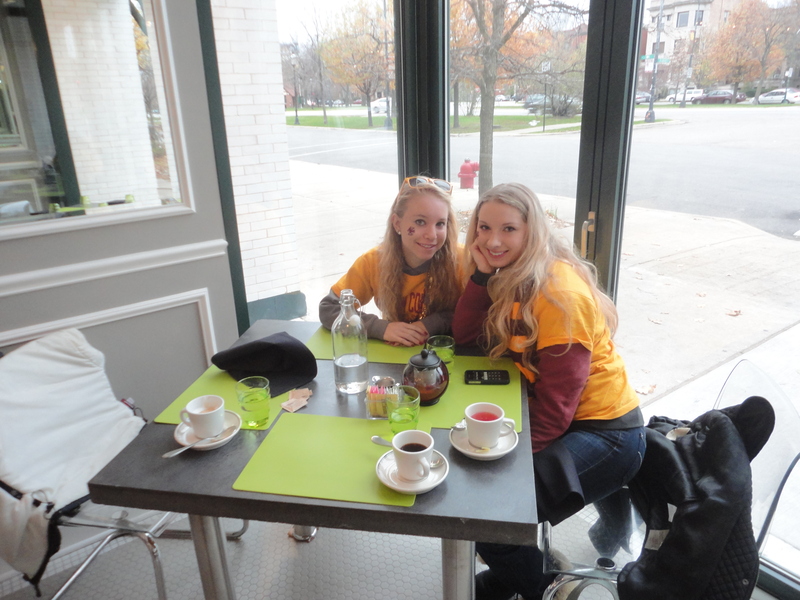 Making the Most of Montreal: fashion, food, and flâneurs! Montreal, a beacon of culture, shines as brightly as the residual Christmas lights lining the cobblestone streets and adorning the elegant wrought iron lamposts in the Old Town. Any new city presents an opportunity to learn something inherent of the city’s foods, fashion, people, and history, these destinations ensure you make the most of your time in Montreal, and leave with lasting memories in addition to the maple syrup! I found this quote to be very poignant especially after the stress of semester finals and papers mounts, as does one’s to-do list. Nature always manages to put things in perspective, and reveals the beauty ever present, that we all too often take for granted.When in Montréal, there is no more comprehensive collection of nature’s wonder, with sections dedicated to the sultry rainforests of South America, and the Woodlands characteristic of the West, and all the oceans, lakes, and streams in between, all housed in an impressive glass dome structure. 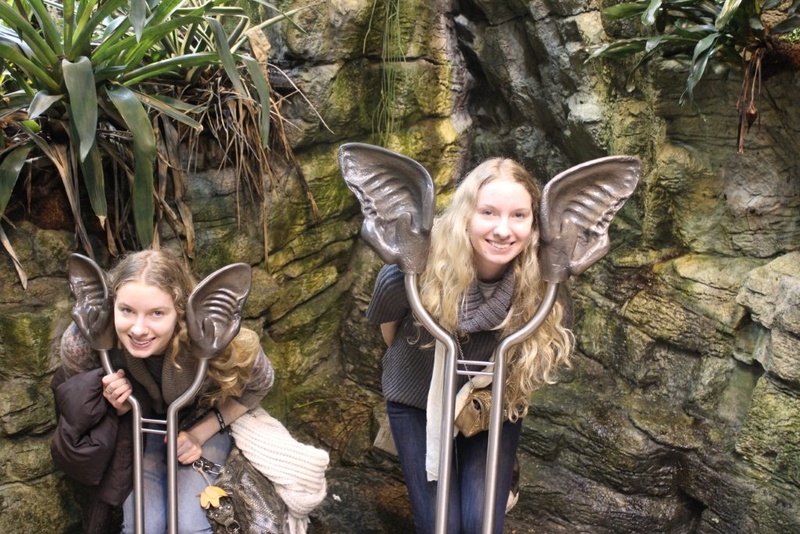 Here’s my sister and I posing with bat ears….who says you have to grow up! while young couples coo over the colorful lovebirds, making the people as interesting to observe as the flora and fauna. 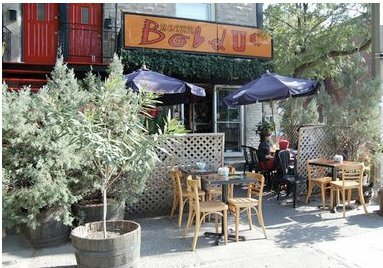 with its colorful decor and its menu boasting an impressive selection of the Montreal late-night staple: Poutine. Poutine, while not calorie conscious, is absolutely delicious and oh so worth it! 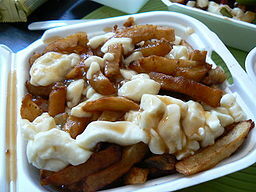 The combination of crisp french fries, cheese curds, and beef gravy, is a must try in Montréal. We also tried the filet mignon and foie gras burger, which was a hit with the sweet and spicy honey sauce, and the perfect to complement the poutine. When looking for statement-making pieces, this boutique is by far my favorite. The boutique boasts a boudoir feel with elegantly distressed dressers topped with the finest Cosabella lace underpinnings, and even a bed with tomorrow’s outfit primly laid out, like the night before the first day of school. Stocking flirty dresses from clothiers like Free People and Fillipa K, and cashmere from ça va de soie, this boutique is sure to provide that something extra special, like this dress by Parker, that is perfect for making a statement in 2012! Our final night in Montréal, we decided to go on an evening walk past the Notre Dame Basillica,where we saw a crowd gathered in front. We took a quick pic out front. 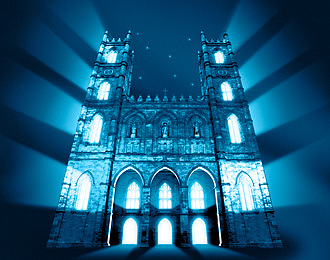 We had shown up too late for a tour of the beautiful Neo-gothic gem, but were just in time for the “And then there was light” Sound and Light Show, a Montreal tradition. As we entered the dimly lit church, candlelight only hinted at the beauty of the structure. After lighting a candle, I found my seat, and put on the headset I was given at the door. Vast screens were situated all around us, and then the show began! 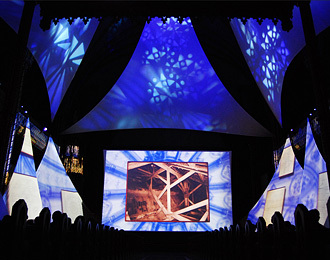 The show was framed as a journey back in time, led by a ghost of the Basilica’s architect. 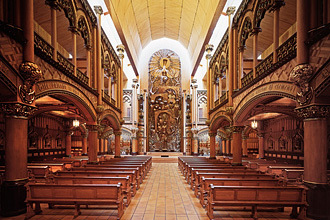 As we journeyed back in time, the history of the colony of Montreal, the church itself was revealed, then as the show came to an end, the beauty of the church where we had been sitting was revealed as the screens rose, “and then there was light!” Elegant woodwork,colorfully painted ceilings and sculpted statues became illuminated before our eyes! After wandering around to more closely admire Notre Dame, we exited into the wintery air to see what other gems we might stumble upon. Sending you lots of love and hoping you make the most of the Holidays wherever you may be! Happy New Year! The Christmas Tree has been lit, the libraries are full of frantic students prepping for exams and finishing their final papers, and Pandora stations are all set to Top Christmas Hits, hoping in vain to drown out the sounds of furious fingers typing away on Macs and heads banging against table tops in Bapst and O’Neil alike….That’s Right December is Finally Here! 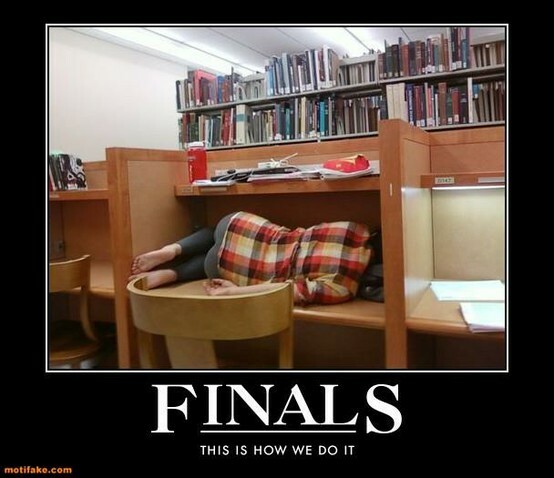 and so is finals season…. 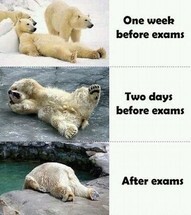 Either of these scenarios look familiar? 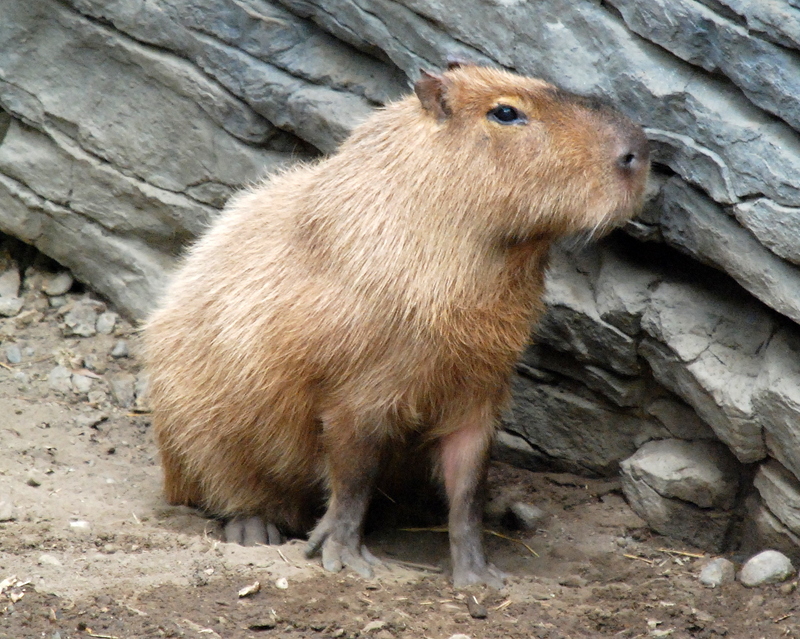 Okay, I confess the above might be a dramatization. The picture below, however, may not be far from the truth (note the lululemon leggings), when it comes to the stress of finals studying. While exams are stressful, spreading Secret Santa Holiday Cheer doesn’t have to be! My experience with Secret Santa is one of my favorite memories from last year, and not just because of the lovely gifts I received from my lovely Secret Santa, but the process of giving! The larger the group of friends that you bring together to have a Secret Santa Swap, the more difficult it will be to guess who is your Secret Santa! 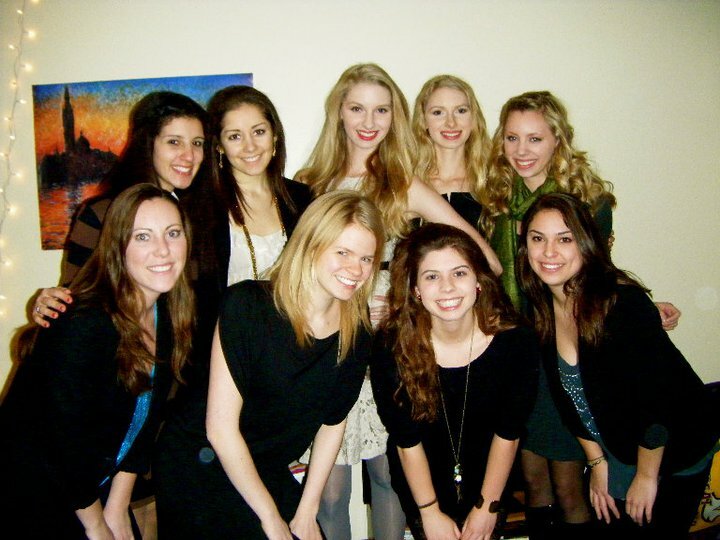 Here is a picture of me and my wonderful friends after the big reveal. So ask your hall-mates or beyond your immediate group of friends if they want to take part! 2. The Gift That Keeps On Giving. You don’t have to splurge on a new Burberry Scarf for your recepient, instead give them something that they will really love to use, and often. Opt for a cute holiday mug that they can fill to the brim with the Elixir Of college Life (Coffee!!!!!!!!) 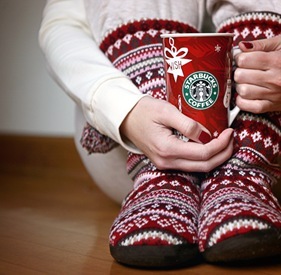 , pair the merry mug with a bag of their favorite Starbucks brew or a package of Hot Chocolate. Swiss Miss is always a sure bet, and available in the Mac and Lower Dining Halls. 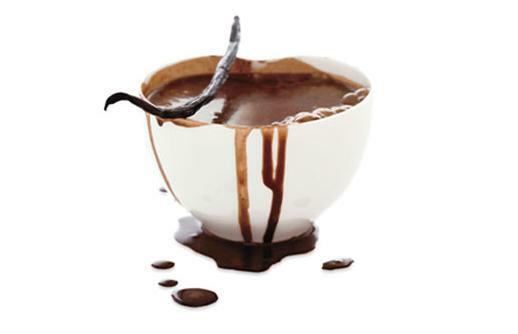 If you want to add some Haute Couture to your gift, you must try Vosges’ La Parisienne Haut Chocolat Couture Cocoa. and Peanut Butter Bon Bons at 4 for $13.00 or 9 for $ 27.00. 3. It’s The Little Things That Matter Most. Instead of getting one large gift, plan a week of small tokens of your love and appreciation for that person. Whether it be a bag of their favorite candy, or a gift card to Chill accompanied by a list of your favorite memories with your friends, and promise to make many, many more. Small personal touches like these really have an impact on someone, and trust me who couldn’t use a pick me up, in chocolate or compliment form right about now or ever? 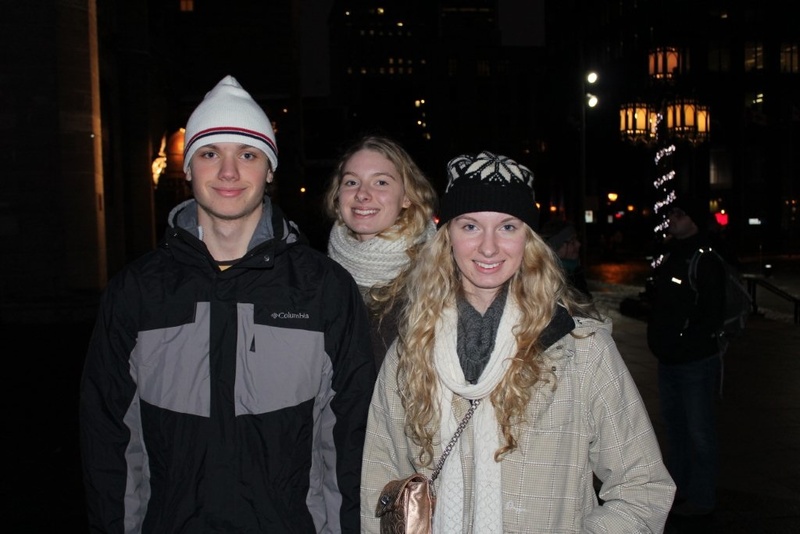 Make sure to document the Christmas Cheer and Kodak Moments. 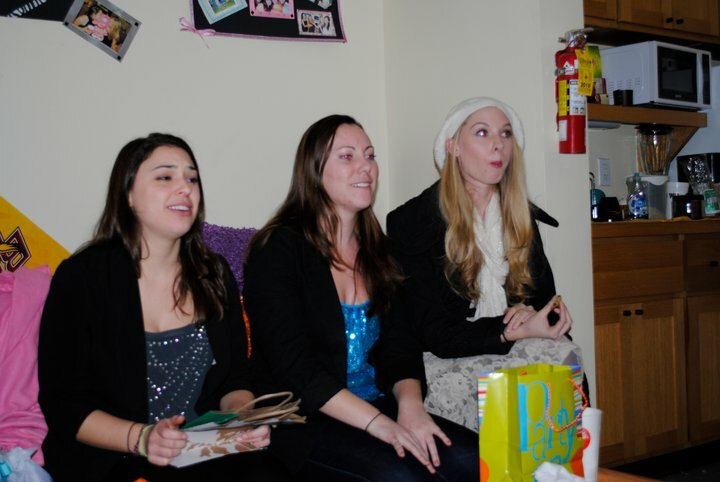 Like the lovely(<<<<<sarcasm intended) candid from our exchange ceremony. This silly picture still brings a smile to my face and is STILL the subject of jokes and quips, even to this day! So to end my blog post about Secret Santa, I’ll close with something that I learned on Kairos this past weekend, if you haven’t signed up, DO IT NOW! There are no secrets in life just surprises! Much Love, and That’s No Secret! Christmas lights line Newbury Street, the Starbucks Holiday cups are back, and Mariah Carey’s “All I want for Christmas is You” echoes through the winter air, that’s right! Yes! It’s that time of year again. 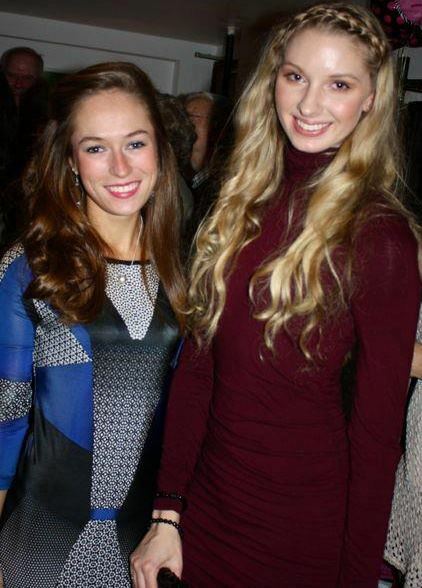 Caitlin Mann and I started off this Holiday Season by attending a party with some of Boston Fashion’s elite to celebrate the wonderful, and dear dear friend of mine Jane Conway Caspe, who you might remember as one of Boston’s best runway coaches, who helps prepare the models for BC’s own ArtsFest and last year’s The Green Show. What pre-even ritual is complete without the perfect self-timer photo…it only took us three tries and a camera mounted on a vase, coasters, and package of gum, points for creativity! Caitlin wore a BCBG printed shift dress and black patent heels, while I opted for a form-fitting Rugby turtleneck dress and pink python pumps. 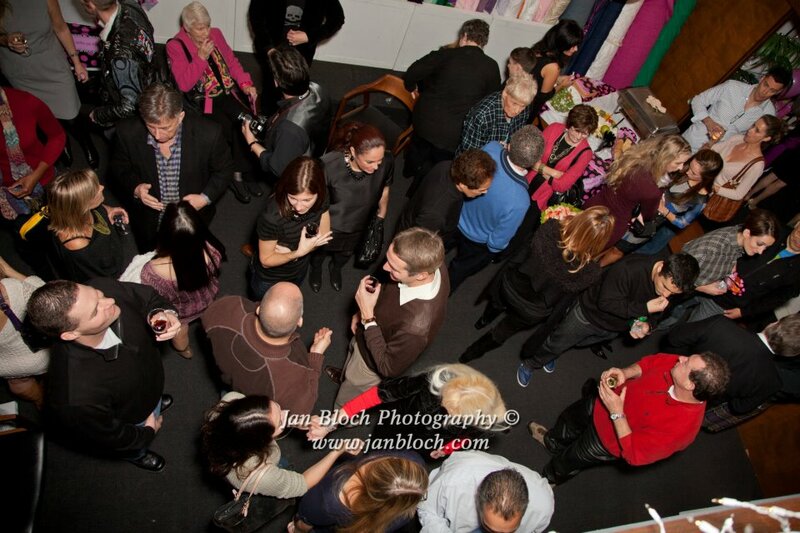 Jay Calderin, founder of Boston Fashion Week, and friend was kind enough to snap a much higher quality of us taking in the atmosphere. 2. Consider the occasion- For instance the ballet is no place for jeans and a sweatshirt, so dress to suit the gorgeous Boston Opera House. So opt for a nice party dress. I’m very partial to this option from Zara for only $79.99 ! With the classic shape, you can wear this dress out on the town with friends or at any black tie event. When purchasing a dress, it’s always a good idea to try to think of at least one other occasion you could use the garment for, this helps ease any bad case of buyer’s remorse! 3. Consider your role at the party-You don’t want to be that girl who overdresses and outshines the birthday girl, so too you don’t want to be the hostess without the mostest. 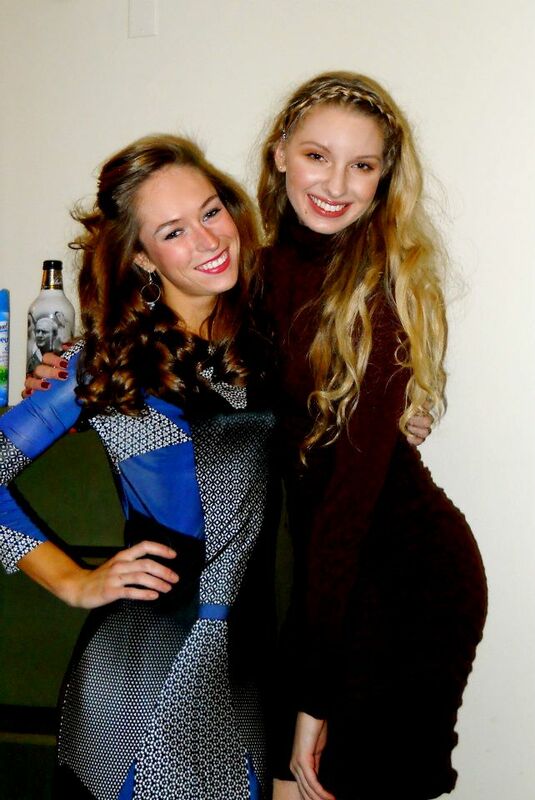 So stay warm, and look even hotter! 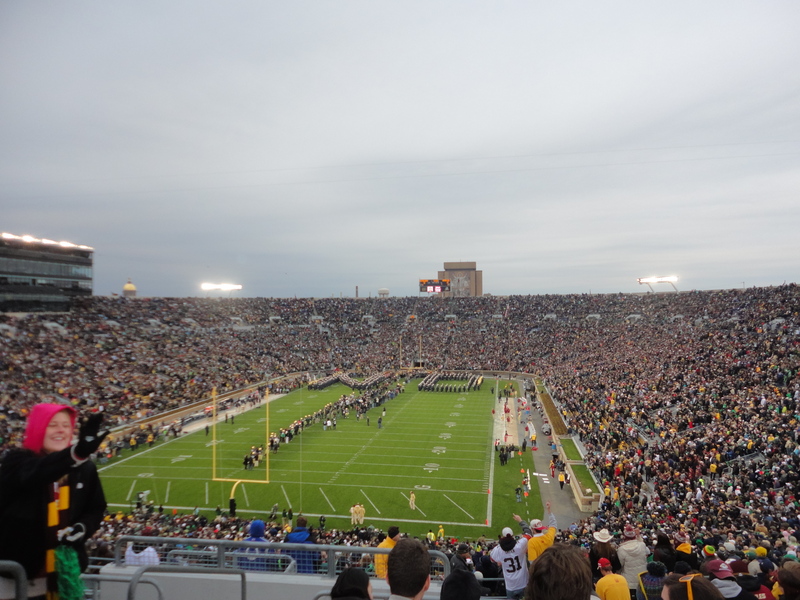 The Notre Dame Game: For BC students, this phrase is synonymous with cramped RV’s, sketchy rest stops, and reveling in all that is American: football and food! While this is certainly the traditional way to celebrate the number one event on people’s BC Bucket List, my friend Catherine and I decided to express our Superfan side in style. 1. 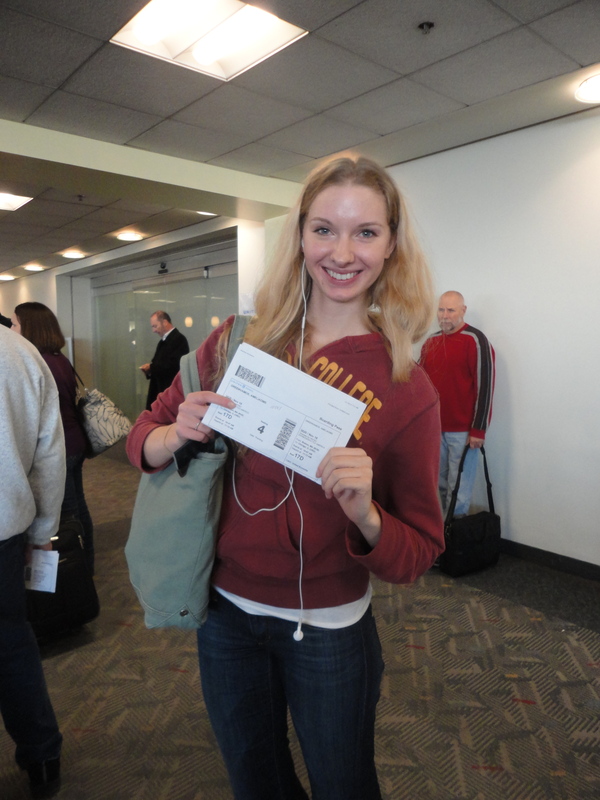 The number one way to make the trip in style: FLY! By the time you compound the costs of renting the RV, the security deposit, and pay for gas, you’ve most likely surpassed the airfare between Beantown and Chi-town. 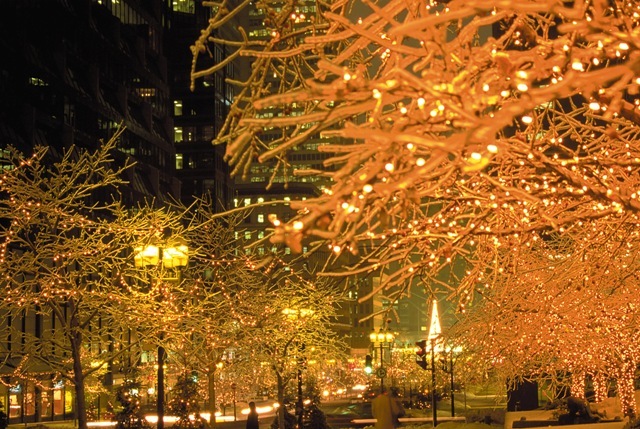 Plus, what better way to prepare for the epic weekend than spend a little time in the Windy City! 2. See the sights in Chicago… because other than the cornfields, South Bend doesn’t have much going for them! 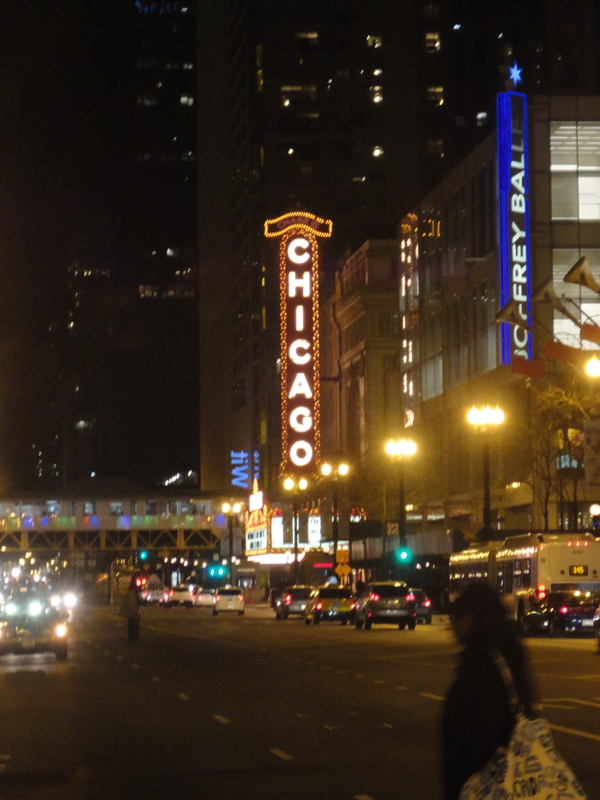 Take a walk down Michigan Ave, the “Miracle Mile” of Shopping and snap a pic in front of the iconic Chicago Theatre. Then make your way down Michigan Ave, to the city’s newest landmark: Cloudgate. Doesn’t sound familiar? 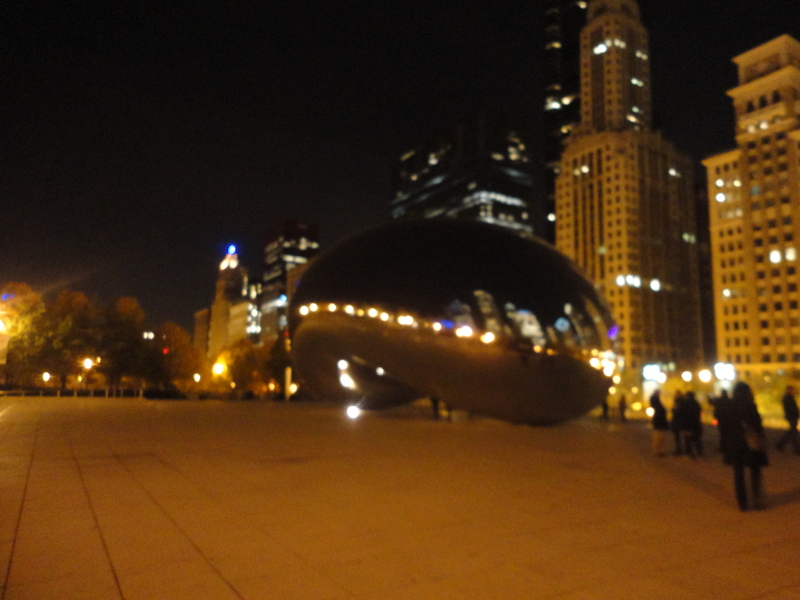 That would be because it is affectionately, and almost exclusively known as The Bean. 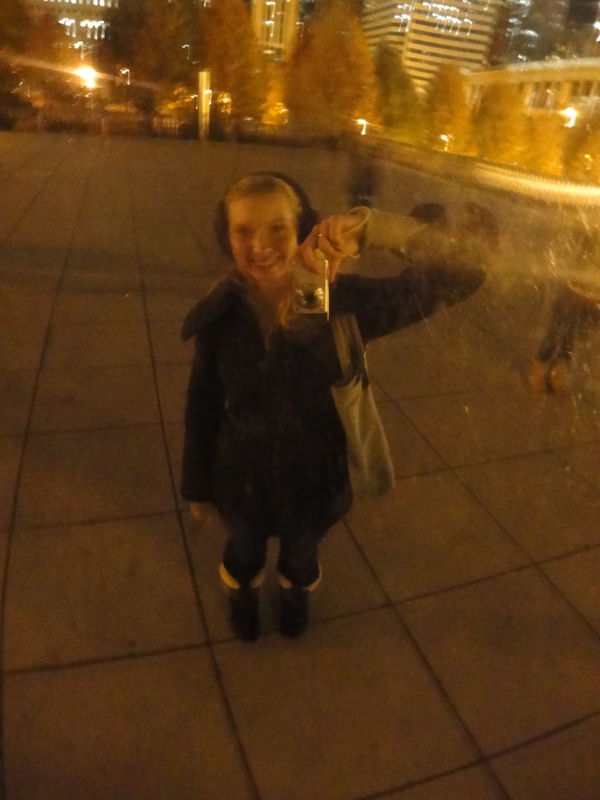 Any trip to Chicago, would be incomplete with out a selfie in the Bean’s gleaming surface. 3. Breakfast of Champions: Notre Dame weekend doesn’t have to consist of remnants of Planter’s trail mix and instant coffee, plan an early breakfast at one of Chicago’s many restaurants specializing in morning munchies. We went to Jam, in Chicago’s up-and-coming Logan Square neighborhood. Lula is another one of my favorites: if their Pumpkin stuffed French Toast doesn’t convince you , then their Acropolis-style omelette ought to do the trick. 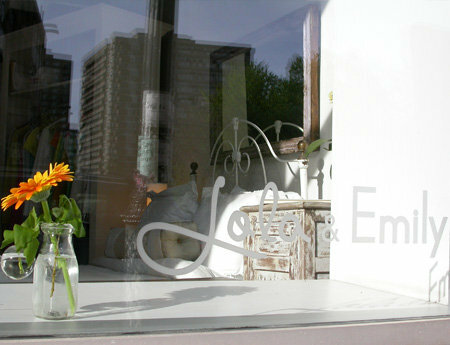 Jam, With it’s modern, sleek aesthetic, one can be assured that their meal will be prepared with culinary precision. Already clad in our BC gear complete with face tattoos, we were happy to discover a young woman sitting with her husband and beautiful baby, was a BC grad!!! Go eagles. 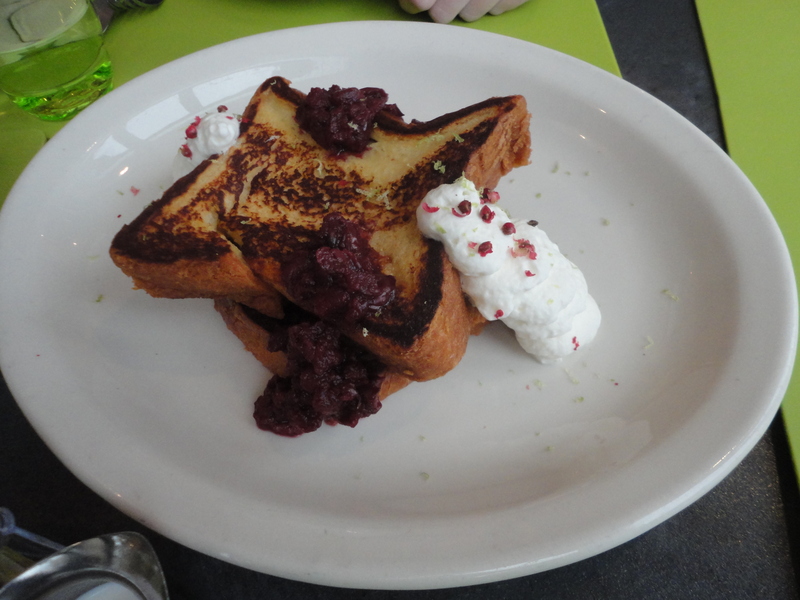 Once the food made its way to our table, we briefly forgot about cheering on our Eagles and instead focused on the Malted Custard French Toast with macerated cherries, lime-leaf cream and pink peppercorns! 4. Superfan Style: If there is any time (other than the first week of Freshmen Year) that it’s appropriate to wear head- to- toe official Boston College clothing, it’s the Notre Dame Game. Though in order to complete your look, feel free to get creative to curb the cold from South Bend weather and the cold shoulders from those Fighting Irish.While meandering Michigan Ave on Friday night, Catherine and I, made some great finds at Nordstrom Rack, I opted for the Maroon Ugg earmuffs, while Catherine found a grey cashmere headband, which we proudly sported as the Eagles took on the Notre Dame Fighting Irish! 5. Nailed It! 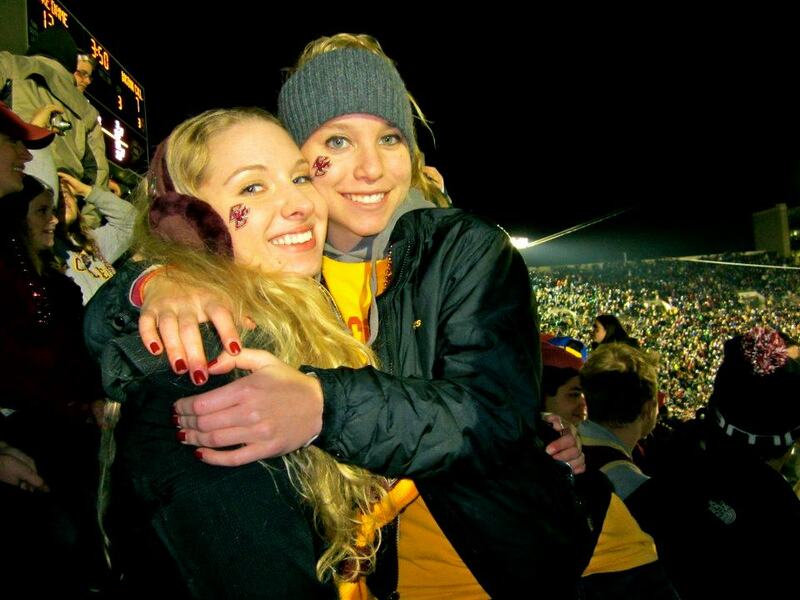 Show your BC pride by painting your nails Maroon or Gold. 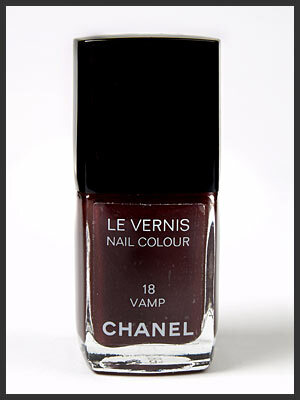 Chanel Vamp is my favorite color for Gameday or just for a sultry step-up from the basic manicure.For extra impact add an extra coat!